YES! I’m finally a LLC! I’ve been pondering this for a while and it wasn’t until this past weekend that my future sister-in-law pushed me over the fence. As you all know, she owns a small business too, her own bridal store. I brought up how I had been thinking about getting a LLC (limited liability company) because I wanted something that was mine and because I wanted Table for Two to be something more in the future. What better time than now to put that LLC on my growing blog? I did some quick research and talked to the SIL a lot about it, since she has great first hand experience, and went ahead and did it! After I posted the picture above, I got a flood of questions about my reasoning behind getting a LLC, how to do it, why should someone do it, what are the difference between LLC and sole proprietorship, etc. I thought it’d help everyone if I just answered the questions here, and as always, if I missed a question, you’re more than happy to email me or comment below. A LLC stands for Limited Liability Company. It offers full limited-liability protection to you, the owner or owners (say you and your spouse want to go in on one together). It also offers pass-through tax status, which in basic term means that the taxes of your business are “passed through” to the tax return of the individual(s) owning the business and you can write off business expenses under that tax status to keep it separate from your personal taxes. A LLC also protects YOU as the other from any personal lawsuits that may happen. Say, someone who has way too much time and money on their hands decides to sue you for improper documentation of a recipe and saying that instead of 15 minutes in the oven, it took them way longer. Well, they would be suing your company’s assets and not you, personally, for assets/loss. It also means that the member(s) of the LLC aren’t personally responsible for actions or debts of the company. It’s basically to keep personal and business separate. If you lose your company, it’s better than losing all your personal property. What were your reasonings for getting a LLC? I wanted something that was mine and also, Table for Two is starting to grow into a business anyway (as far as ad revenue goes, not like catering or making stuff for people) so I wanted to benefit from the LLC by getting tax breaks on business related expenses. This also preps me for the future in case I decide to quit my current job and become a full-time blogger. I also wanted protection. It’s a nasty world out there and although it’s few and far in between that us food bloggers deal with crazy people, you just never know. I’d rather be assured that I won’t lose my house (personal asset) than to just keep doing what I’m doing now with no reassurance. It really depends on the state. For the most part though, process is the same. If you Google “how to form LLC in _____” where ____ is your state, then you should be able to figure out where to file. I live in Virginia so all I had to do was go to the Commonwealth of Virginia’s State Corporation Commission’s website and fill out an e-form, pay, file, and print out my certificate. It’s really easy. I don’t believe that it’s hard to get in any state. My SIL who lives in Louisiana said her process was pretty much the same. The fee varies. Mine was $100 to file. Yes, there’s an annual fee to keep up with your LLC. For Virginia, it’s $50 annually. If you don’t renew it, your LLC basically just gets erased and it no longer exists. You will get a notice in the mail to renew every year. From what I understand, and don’t quote me here because I don’t want IRS coming after me, is you can basically start documenting (keeping receipts) all your purchases that you do for your business. When you file taxes, you can write certain business expenses off — get a tax break from them. Also, you can write off certain rooms of your house from your mortgage (I don’t know if you can do that for rent) because you use those rooms as your “office” for your business. My kitchen and my office would be the rooms that I could write off. Photography lenses, Internet bill, software, computer, everything I use for my blog, I can write off as business related because without those things, my business wouldn’t be running. I honestly don’t know the nitty gritty of the tax stuff because that’s what an accountant is for, but this is just the jist of it. Just keep a folder and put every receipt in it – food/business related and even travel expenses (YES, you can write off food blog conferences because it’s considered part of your business to network and research and learn with other bloggers). How do I get a tax ID number for my business? You will definitely have to get one of these after you get your LLC. You go to the IRS website to apply for one. You need this because it’s your business tax ID number for taxes and for all business related things. It’s kind of like a second SSN. When you apply for a small business checking account, they’ll ask you for this number. This number is also in case in the future you hire employees or buy wholesale of something or whatever. This is another reason/way how this ID number keeps your personal and business items separate. What is the difference between LLC and Sole Proprietorship and why did you choose LLC? The biggest difference between those two is basically liability protection. Sole proprietors are held personally liable for all debts and activities incurred while operating the business. If the assets of a sole proprietor are not enough to meet the company’s debts, creditors may go after a sole proprietor’s personal assets to satisfy the obligation. Operating under a LLC provides me, as the owner, a company with protection against company debts and obligations. This means for anyone that initiates a lawsuit against me, they can NOT go after my personal assets as compensation for business-related debts. Again, as I stated before, it’s all about keeping business separate from personal life. Verdict: It doesn’t hurt to get one. If you’re generating any revenue, whether it be from ads or writing for other blogs or media outlets, you’re technically a business so you might as well start protecting yourself and get a LLC! Plus, the tax benefits are pretty sweet. I really hoped this helped answer some of y’alls questions. Again, I’d be happy to answer any additional questions you may have, to the best of my ability. Great post, and really informative. I’ve shared with a couple of my friends who have small home-based businesses (that they’re just starting). Now I’m thinking I may have to investigate this a little further for myself! btw, can I still pin your pictures? Hi Gina, what do you mean if you can still pin my pictures? Thanks for this! I recently talked to our financial adviser about taxes, etc. with the blog and he recommended a separate bank account, but a LLC would be even better. Something to put on my to-do list! We formed our company into an LLC for liability reasons. For us, LLC for the tax breaks from expenses and such did not make much difference. They are not really any greater than as when we were operating as a sole propietor. Legitimate business expenses are business expenses whether you are an LLC or a sole proprietor. We figure about the only thing we are saving is half of the SS and Medicare taxes that the company now pays for my husband rather than us paying the whole thing as when my husband was self employed as a sole propritor. The expenses and time we have incurred by making the change will take a LONG time to pay off. One note is that it would have been much easier and less time consuming to have formed the LLC BEFORE our company had grown to its present size. However, we didn’t have the cash then to spend. Liability is a nasty thing, and one reason we carry a large insurance policy for as well. Great post, Julie!! YOU pushed ME over the fence into LLC town! Dude, this is REALLY smart. I make a bit from revenue so I should probs do this. AWESOME! I’ve been meaning to set one up for way to long now… Do you know if you need to open a separate bank account & have all your payments go there – or can you just leave it all tied to paypal?? Yes, actually, it’s A LOT easier to do taxes (or if you want your CPA to love you), if you open a separate bank account under the LLC and have all your payments go there. If you do it through Paypal, just transfer the money you get paid to that LLC bank account you open. If the LLC bank account is getting low, you can transfer money from your personal account into it and you can deduct that from your taxes too because they’ll consider it a working capital. This is a fantastic post! I’m honestly confused by how a lot of the business side of blogging is run (granted, the business side of anything haha), so this helps a lot. Whether I want to monetize my blog or run my own freelance biz in the future, it’ll be good to know the basics now. Thank you! Congrats Julie! I have been saving all of my receipts… camera lens, ingredient receipts, DSLR receipt, tripod, etc etc. I’m not a LLC yet, but something I’ve been planning to do before the end of the year. My dad actually told me to (he’s an accountant), so I’m looking forward to the tax break next year. blogging is expensive, so the tax break will be worth it! Congrats!! I have looked into this a little as well. Just a note on the tax deductions – you really want to be careful and talk to a tax person before you deduct rooms in your house. From my understanding if you deduct your office it needs to be 100% only an office. If you have person files on the computer in there, then it isn’t 100% an office. Same with a kitchen – only used for business purposes not for personal at all. Obviously this is only if you get audited. But I have heard it is a huge red flag for them to audit you. I know a few people who really do run their business out of their home, and they have been advised not to deduct the office from their taxes, because of what it opens you up to. Thanks for the info! 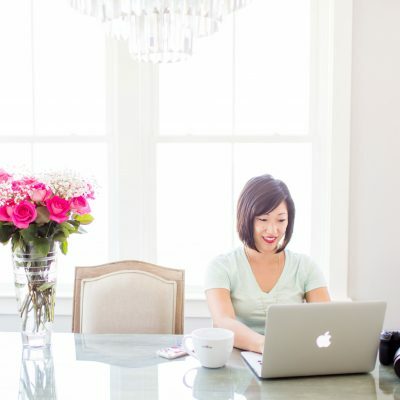 There is so much more to blogging than recipes and pretty pictures! This is something to look into for the future! I remember what recipes/crafts I want to do by adding them to pinterest or putting a link on my blog. If I print them out, I always add the blog and link where I found them but I’m a great one for putting stuff in a safe place and forgetting about it. I have looked into it but have never taken the plunge…we need to do it for our rental property too! And I say yes on the separate bank account, it’s so much easier when it comes to taxes! Dude, I never even thought about doing this but your post is making me think about it! I mean, it doesn’t sound too hard to file it so I might as well just do it, right? Jason is always telling me that the blog is going to get big and that I don’t have to work later on (wouldn’t that be a dream). Hmmm, I’ll definitely be thinking about it. I wish everyone the best with this and hope we can all make this worth it! Thank you SO much for writing this post! I will be looking into an LLC. I should have done it before I purchased my new camera huh? Bummer! Julie this is perfect timing for me. I was just asking some advice on this stuff from a lawyer friend this week. I am taking the plunge tomorrow. I’m in Canada as best I can tell it works the same as yours. We’ll see what they say down at the tax office where I apply tomorrow. I was prompted by the fact that I want to invest in a new camera in the near future. So I figured I may as well get my licence first. Congrats to you on becoming a business. And thanks for sharing the information with the rest of us. Love this Julie! I am super excited for you, and impressed at how far you have come in this year! So amazing!!!! I cannot wait until my blog is where you are now :) This is excellent information too. I am glad to know it all for when I get to take this plunge! This is good information to share. My experience owning a non-blogging LLC was that the taxes for that vs. taxes for sole proprietorship were much more difficult to prepare for my non-CPA self. Unless you are far more tax-savvy or already use an accountant, the reason to switch to an LLC should be for liability reasons, not tax savings. Make sure you get your name and logo trademarked as well…even more important!! Good luck to you! Yes, I have filed several trademarks…the name of my winery and my blog “Noble Pig” are the same but must be registered in different classes. You can do it without an attorney…I did however I now have an attorney handling all my stuff…life is a little more complicated now with all my business stuff. Blog name and logo have to be registered separately. When you are ready, email me and I can help! Thank you for writing this post. It pushed me over the edge, and I finally did it myself. Bluebonnets & Brownies is now an LLC too! CONGRATS! My fiance is thinking of making his guitar pedal making into a small business, officially. He said this was super helpful! Have loved all the wonderful info on recipes and wanted to give a little back. I believe a few people helped clear this up, but since it looks like lots of people are interested I wanted to help. This is a common occurrence, I’m an accountant and hear it all the time. An LLC is mixed up as being an S-Corp. Most of your facts are spot on for an S-corp, it’s a flow through entity and like was commented above it does have tax advantages because you can expense payroll taxes. An LLC is a state designation that helps with liability, most commonly used for Sole Proprietors and Partnerships, however an S-corp can have an LLC but there’s already liability protection built into a S-corp because it’s a separate entity and is normally over kill. An S-corp will require a separate tax return and fees that go along with that. Other downsides is you need to pay yourself with payroll rather than just distribution. Talk to your CPA or tax professional about what would be best for you, but typically a small company (one person) starting out is easiest and cleanest being a sole proprietor with an LLC designation. I am a tax accountant and this is the BEST explaination ever about benefits on forming an LLC. 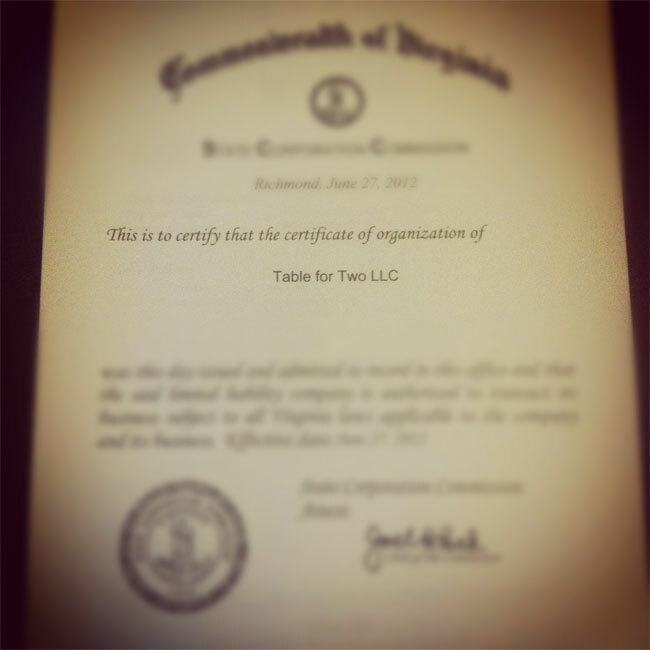 I just started my blog, Dainty Morsels, is becoming a CA LLC. Julie – this is some great advice that will come in handy for 2013. Guess I know what one of my goals for Cooking In Stilettos will be this year! Happy New Year! Wonderful post! You’ve convinced me. One question: how did you categorize your business. It’s one of the questions asked. The only category that I see for bloggers is “other.” Would you mind sharing what category you selected (I’m attempting the process). Hi Alaiyo, I’m pretty sure I was categorized under “other,” as well. Good luck with the process! Thanks for answering my question Julie! I’m now following your site. I love what I see here. Thanks so much for this post. It’s coming at the perfect time for me as I’m going into year 2 of my blog and I think it’s now turned from a hobby to a business. The burning question for me is … to deduct food or not? I’ve seen some bloggers DO deduct some food expenses while others don’t. Hi Debi! So glad this post is helping you out. I would honestly talk to your accountant/CPA about the food expenses and deductions. He/she can give you a better explanation and help you out with whether or not you need to and the % of how much. I finally took the plunge today and became an LLC! Thank you!